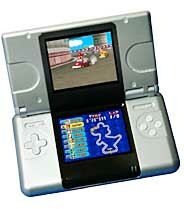 Games Solutions Nintendo DS - One of the largest games source for Cheats, Codes, Hints, Tips, Walkthroughs and Guides. Get help on the following games system - Game Boy Color, Game Boy Advance (GBA), Gamecube (GC), Mac, N-Gage, N64, Nintendo Revolution, PC, Playstation 2 (PS2), Playstation 3 (PS3), Nintendo DS, Sony PSP, XBOX, XBOX 360 (X360). Power save for 2D engine, rendering engine, geometry engine, LCD screen possible.